The Sixth International Conference of Tibet Support Groups was held at Surajkund in the north Indian state of Haryana from 5 to 7 November 2010. It was convened by the Core Group for Tibetan Cause - India, the apex coordinating body of the Tibet supporters in India, and facilitated by the Department of Information & International Relations of the Central Tibetan Administration. The conference was attended by 258 participants from 57 countries and consisted of an opening ceremony, five plenary sessions and working groups on political support, outreach to Chinese, human rights, and environment and development issues. During the inaugural ceremony, His Holiness the Dalai Lama was the Guest of Honour and the former Deputy Prime Minister of India, Mr. Lal Krishna Advani, the Chief Guest, while the Kalon Tripa, Prof Samdhong Rinpoche, delivered the key note address. Other international guests present at the inaugural ceremony included Senator Miriam Defensor Santiago from the Phillippines; Mr Rafael Gimalov, Member of Parliament from Russia; Major (Retd. ), Vijay Singh Mankotia, former Minister of Himachal Pradesh in India; Mr. Javed Raza, National General Secretary, Janata Dal (United), India; Dr. Yang Jianli, President of Initiatives for China, T.N. Chaturvedi, former governor of Karnataka; Subhash Kashyap, former Secretary-General of the Indian Parliament; and Ms. Jaya Jaitly, a prominent socialist leader. The purpose of the conference was to take stock of efforts in finding a negotiated solution to the Tibetan issue, discuss the current situation in Tibet and outline ways for the Tibet groups throughout the world, including Tibetan NGOs and Tibetan associations, to strengthen their work in the light of new developments in China and Tibet. The previous conferences of Tibet Support Groups have been held in Dharamsala in 1990, in Bonn in 1996, Berlin in 2000, Prague in 2003, and Brussels in 2007. A special TSG conference was also held in India in 2008. Agreed, therefore, to the following Surajkund Action Plan to focus attention of Tibet Support Groups on a number of areas of major importance. I. OBJECTIVE: To build up Tibet as a constituent issue in parliaments and governments. We will develop a training program and resource materials to support the creation of a broader network of Tibet Groups capable of advocating in local and national governments on the Tibet issue. Tibet Groups will be encouraged to participate in coordinated Lobby Days to build relationships and support. We will liaise with the International Network of Parliamentarians for Tibet, involve Tibetan Parliamentarians and officials in our outreach, and coordinate closely with Tibet Groups already engaged in advocacy in governments. II. OBJECTIVE: To build support for fulfilling the aspirations of the Tibetan people for His Holiness the Dalai Lama to visit in Tibet. We recognize the deep desire of the Tibetan people to have His Holiness the Dalai Lama to visit them, and firmly believe that His Holiness is a positive force for bringing about a peaceful resolution of the Tibetan issue. Therefore, we will launch a campaign towards fulfilling the aspirations of the Tibetan people for His Holiness the Dalai Lama to visit Tibet based on the fundamental rights of freedom of movement, of association, of religion and of free speech. I. OBJECTIVE: To reverse the Chinese Government's efforts to weaken the status of the Tibetan language. 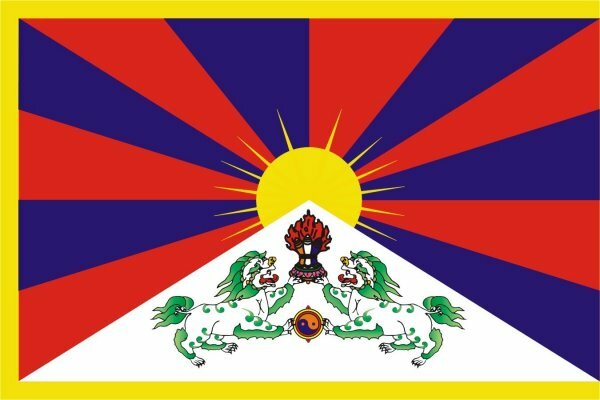 We will create and sustain international outrage at policy decisions intended to weaken if not eliminate the Tibetan language in Tibet, through a campaign that uses a variety of new and creative communication channels to educate and persuade key audiences who can influence the Chinese Government. The campaign will also use methods to convey to Tibetans inside Tibet the worldwide support for their right to use and enjoy their own language. II. OBJECTIVE: To increase awareness of human rights abuses in Tibet through a simple grassroots campaign. We will wear, and encourage others to wear, a white armband on Wednesdays with the word "TIBET" on it. Everyone who wears the armband will become an ambassador for Tibet as people ask why we are wearing the armband. We will publicize the campaign through a variety of means, including at the Kalachakra in Washington D.C. In July 2011. OBJECTIVE: Create an alliance with effected communities and build public awareness at the grassroots level in order to stop the damming of the Mekong/Zachu River. Using people to people connections at the local and village level, we will help build the capacity of communities to challenge damming projects on the Mekong/Zachu River in Tibet. We will create greater understanding of the ways in which decisions affecting rivers in Tibet produce significant consequences in China and other countries. As the campaign takes root we will consider expanding it to address other rivers flowing from Tibet. OBJECTIVE: To foster greater understanding between Chinese and Tibetan people through the exchange of personal stories and experiences. We will open up channels of communication by using personal stories to highlight issues and concerns that Chinese and Tibetan people share, such as the environment, freedom of speech and religion, etc. We will create positive and simple messages to initiate conversations and then create spaces for the conversation to continue, including in local cultural events, friendship groups, and in on-line spaces such as Common Ground.